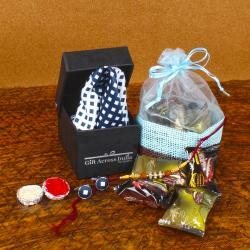 Sapphire Assortment Chocolate (Weight : 175 gms), Silver designer Rakhi along with Roli Chawal. 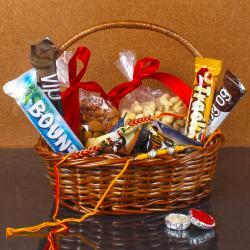 This Raksha Bandhan, you can definitely expect to give your brother an unmatched surprise with this special combo. This combo contains a beautifully designed, ethnic silver Rakhi that will definitely look amazing on wrist of your brother. 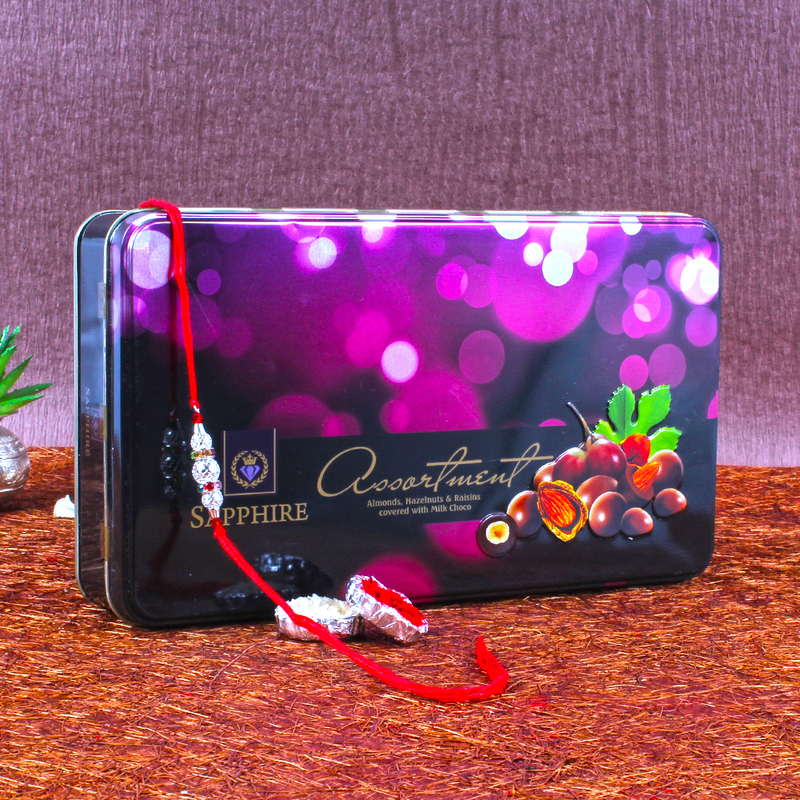 It also comes with Roli Chawal and Sapphire Assortment Chocolate for extra sweetness and taste. 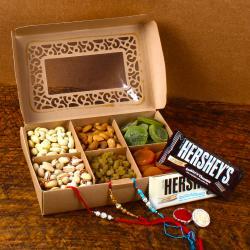 It contains nuts of Almonds, Hazelnuts and Raisins covered with Milk Chocolate. Raksha Bandhan is the festival for brother and sister. The word Raksha literally means Protection, Bandhan means Bond. This combo is the perfect Rakhi gift and promises to make the day even more special for your sibling. 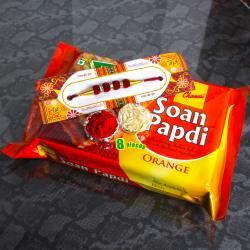 This Rakhi is a collector item in its own right. This beautiful Rakhi Combo includes : Sapphire Assortment Chocolate (Weight : 175 gms) and Silver designer Rakhi with Roli Chawal.